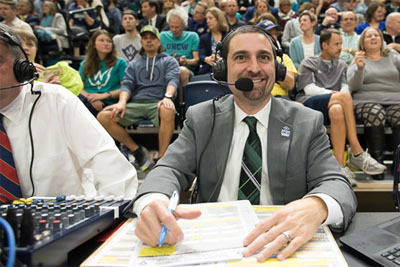 With the CAA Tournament in men's basketball just days away, Mike Vaccaro, the "Voice of the Seahawks," looks forward to broadcasting the exciting play-by-play action on the court in North Charleston. See more "UNCW in the News"
Submit items for the next SWOOP by noon on Friday. 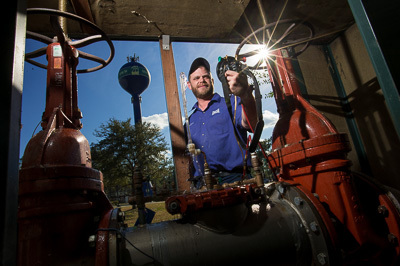 UNCW plumber Phil Fiedler inspects a pump station on campus. The plumbing crew completes inspections on a quarterly basis.